Salvatore Bonaccorso was born in Acireale, Sicily, in 1982. He developed his fishing passion when he was a child and went fishing with his father, supporting his blind father. 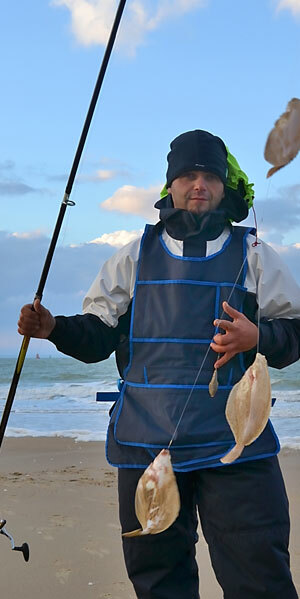 He spent many years fishing mainly big mullets with poles when, at the age of 15, he discovered the surf casting style. Together with his friends he started to expertise this technique. At the age of 24 he started his competitive career. 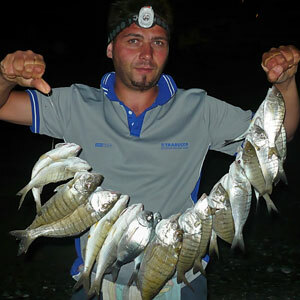 After a couple of years and thanks to the guidance of Fabio Nizzari, a notorious Sicilian surf casting angler, he started a dramatic improvement of his personal technique, succeeding to join the Italian National Team in 2012. Beside countless trophies and local and regional championships, Salvatore attained the 17th placement to the Italian Championship in 2011, placement that allows him to qualify for the Club Azzurro Elite Championship in 2012, where he will be 4th.Thanks to this outstanding performance he will join the Italian National Team in 2012, 5th at the World Championship in the Netherlands. Salvatore kept the right to attain the Club Azzurro Elite Championship for 2013.